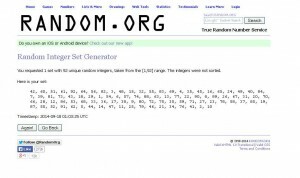 The OpenCachingNA Diversified Cacher Contest: Did you win?? The numbers have been drawn for the remaining 29 prizes. You should give us at least 24 hours to tabulate the prizes and their respective winners in table form, and to notify all the winners via email. In the meantime, you can do a little work, and see if you won anything yourself. This will be fun, it will be just like looking at a Powerball lottery ticket to see if you won on that. :-). Below, copied and pasted from a previous blog post, are the entry numbers assigned to every player. 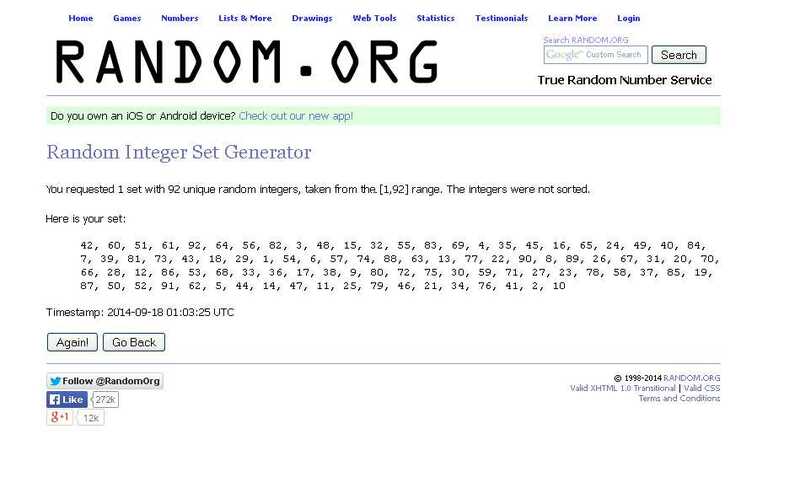 Below that is a screen shot of the 92 random numbers selected tonight. Click on that image to open in a large lightbox window, and BYO reading glasses if you need them. Note the number 65, also drawn on Sunday night, was drawn again. That gets thrown out. So we are taking the first 30 numbers drawn; the first being 42, and the last being 18 on the second line. 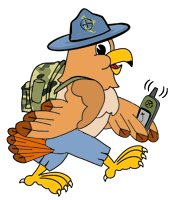 Refer to http://www.opencaching.us/articles.php?page=divprizes for the list of prizes, keeping in mind that The Magellan ExploristGC, A Munzee Virtual Package, and the Cache at Night Gift certificate are off the board. So 42, the first number drawn, win the SPOT II Tracker, and then down the list in order, ending at 18, which wins 250 Monster Coins. Good luck! So if I did all my math right, I got OCNA Pathtags from The OCNA Admins. Anyone want to trade that for a Devil’s Cache book? In all seriousness, thanks for the contest, and a big THANK YOU to all the sponsors who donated prizes. I didn’t get to participate as much as I wanted to, but it was still fun to try it out. Actually, you won 500 Monster Coins. And we know you have a smartphone, because you’re a big SIghter guy. 🙂 HOWEVER, excellent point, thanks for making it. There will be a copy and paste statement at the bottom of every winner’s email stating that trading can occur, and they can express their interest in their response, if they have one. For example, we know a prominent high scoring player to not have a smartphone, and they won a Munzee prize. If these prizes were given away at an event, it would not be uncommon for trading to occur in person. By the way, we need to check with the WordPress theme developer about these crashing avatars on the comments.